Photos of the Fujifilm GFX 50R - Fujifilm's new medium format, rangefinder style camera. 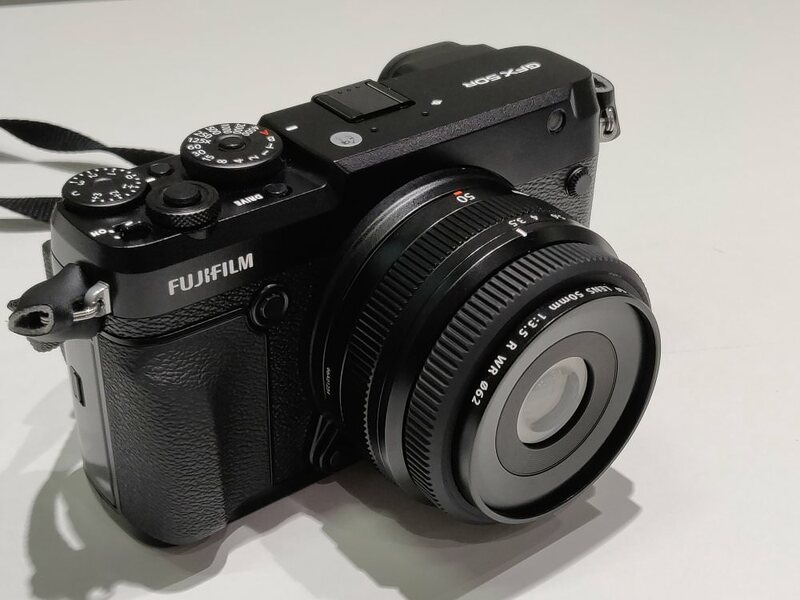 The more compact Fujifilm GFX 50R is on display at Photokina 2018, in Cologne, Germany. We had a look at the new camera, which offers a much smaller camera body, when compared to the GFX 50S. However, the GFX 50R still offers the same 51.4mp image sensor, and therefore the same high image quality as the GFX 50S. Introduced with the GFX 50R is a new GF 50mm f/3.5 R WR lens, which is the most compact lens for the GF system yet. There is still a tilting screen on the back of the camera, and an electronic viewfinder. Please note, the camera shown here is not a final production sample, so the fit and finish of the camera is not a good as it will be.